Indiglo dual mount: the answer to handlebar clutter? With the dark nights closing in, riders across the country are adding a front light to the ever-increasing range of accessories cluttering their handlebars. But an innovative new dual mount Indiglo, an Australian lighting start-up, might allow you to maintain a clean cockpit without abandoning your gadgets. The mount is clearly inspired by the many out-front Garmin mounts that have hit the market over the past year. Products such as the K Edge Garmin Edge mount are designed to improve visibility of the Garmin particularly when riding out of the saddle. What sets the Indiglo dual mount apart is the ability to attach either an action camera such as a GoPro, or the company’s own Indiglo 5 front light, which would otherwise have to sit elsewhere on the handlebars. 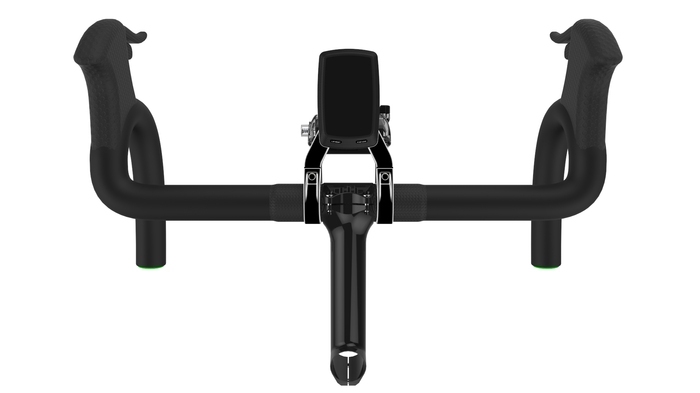 As well as being compatible with any Garmin with a 1/4 turn mount, the top deck will also accommodate a Wahoo’s RFLKT display, while the bottom mount will fit a GoPro, Garmin Virb, or Shimano camera. If this takes your fancy then you can put your money where your mouth is by supporting the Indiglo dual mount on its Kickstarter page, and look forward to a clutter-free cockpit when the product ships in February. You can pre-order a new dual mount for $50 AUD (£27.50).